ReFS is fully supported on ANY storage hardware that is listed on Microsoft HCL! Note: The main obstacle for ReFS on SAN, is ReFS not yet having ODX and UNMAP implemented for SAN volumes, meaning these configurations are not HLK tested or certified. So, if you do need to use ODX, TRIM/UNMAP or Thin Provisioning for the underlying SAN LUNs, you should continue to use NTFS. Microsoft recommends turning these features off with ReFS to avoid potential issues. But some SANs enable thin provisioning by default, so it is important to keep this current restriction in mind. 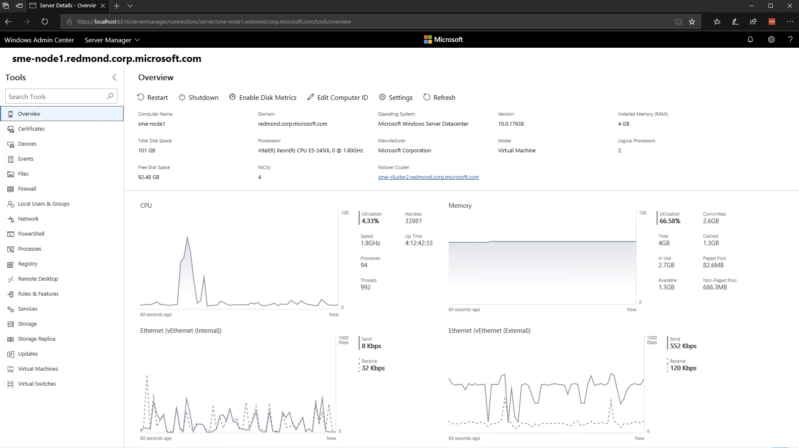 Windows Admin Center aka Project "Honolulu" is now generally available! Converged Versus Hyper Converged: What’s the Difference and What’s Right for Me? - Active IQ Services: New cloud-based predictive analytics services that deliver additional performance and data protection insights to customers. - AFF A800: The industry’s first end-to-end NVMe-based enterprise all-flash system. - Digital Support 2.0: Our SupportEdge services combine live, cloud, and digital resources to deliver comprehensive support through Elio with AI powered predictive analytics. 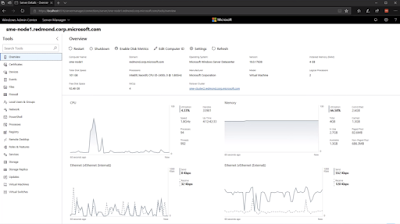 - ONTAP 9.4: Power the newest AI and enterprise workloads with NVMe-accelerated performance, advanced cloud integration, and enhanced security features. - SSDs: The industry’s first 30TB SSDs: Shrink data center footprint and lower data center costs by storing over 2PB in a 2U shelf. - StorageGRID 11.1: The number one data management solution for distributed organizations, now automates tamper proof retention of critical financial and personal data. NetApp, Cisco and Red Hat announce OpenStack on FlexPod SolidFire! Hear Ye! Hear Ye! Trident 18.04 is available now! VMware vSphere 6.7 is GA!